Imagine a site that overlooks the paradisiacal yet man-made landmarks like the Sydney Opera House and the Harbor Bridge. 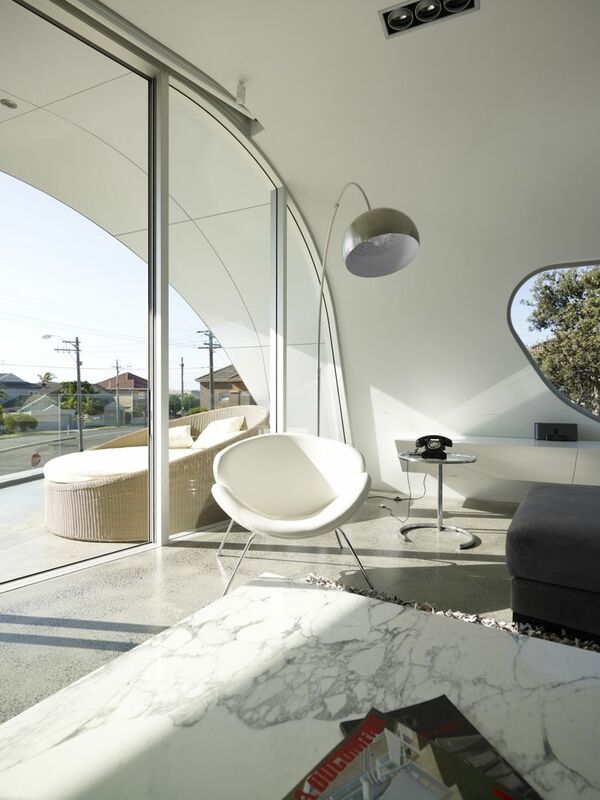 Well, the Moebius House by Tony Owen Partners fulfills this quotient with aplomb, with its set of evolved design credentials. 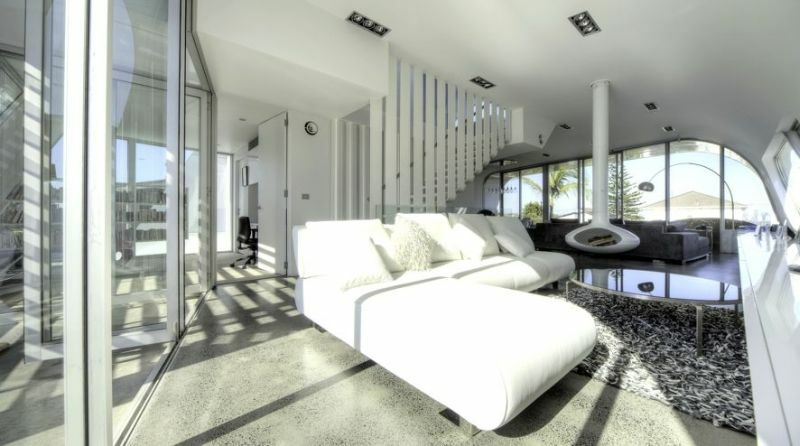 As we can comprehend from the images, the Sydney residence alludes to a sense of futurism with its white hue, minimalist yet slightly angular facades and the predominance of a two-storied ceiling-high glass wall. However, beyond just serving as visual instruments, these architectural elements combine to accentuate the ‘maximization’ of ventilation, natural lighting, spatial scope and the surrounding breathtaking views. 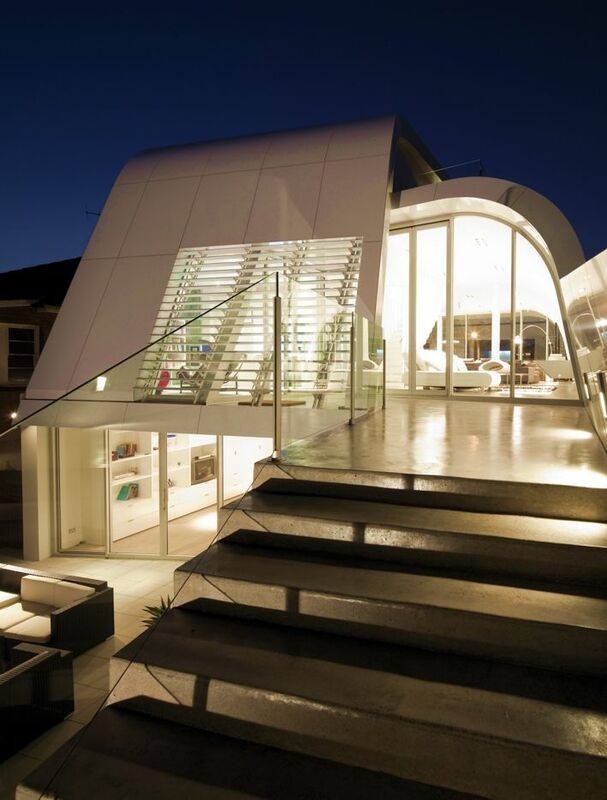 This multi-faceted yet low impact structural scope is based upon the ideals of ‘micro-design’. According to the architects, micro-design relates to a special parametric modelling software that takes into account the various permutations and alterations in the design’s ultimate input. 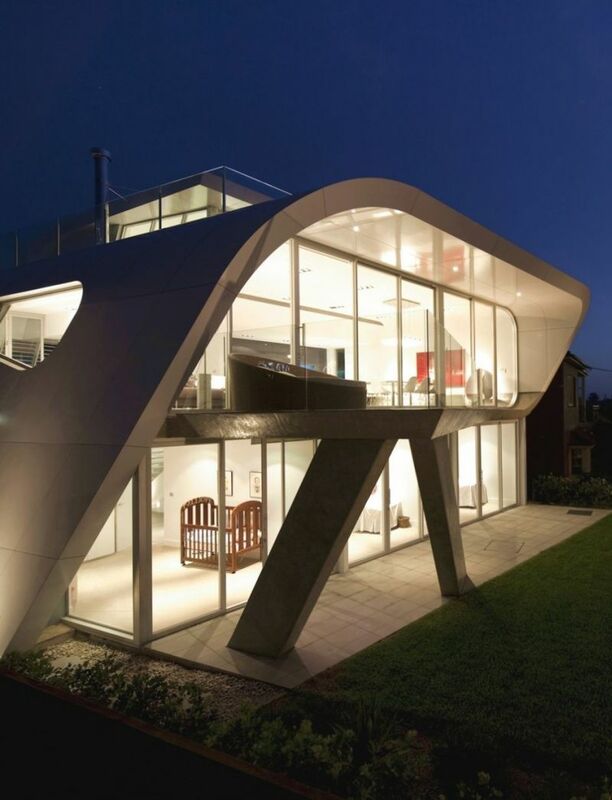 For example, in the case of the Moebius House, the factors related to the expansion of the ventilation and views of surrounding landmarks, while at the same time minimizing the views of the neighborhood (for privacy). These differential issues were solved by the conception of a dynamic design that responds to all the variables. 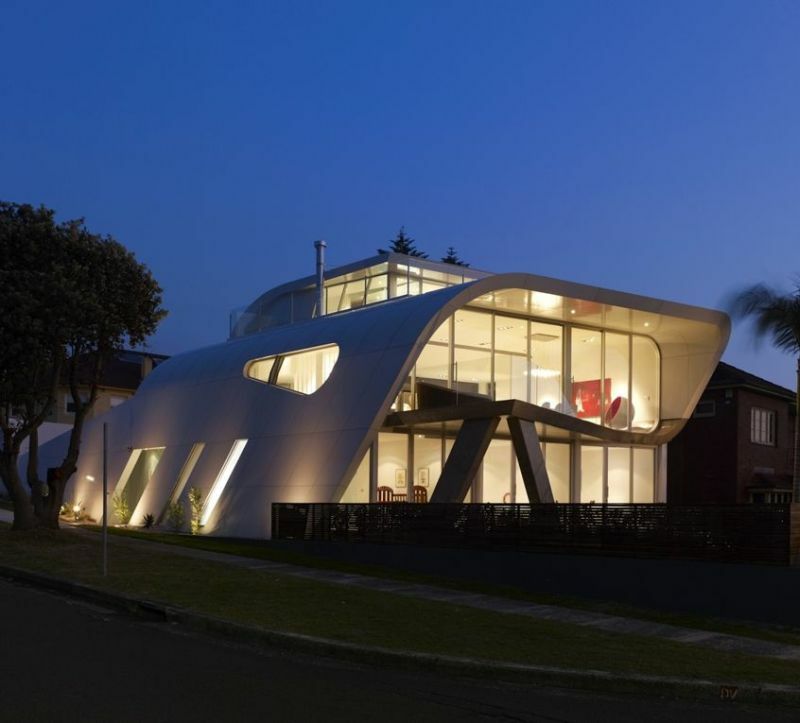 So, how did the architects achieve this ‘holy grail’ of a dynamic design? In short, the answer is – Automotive Assembly Process. That’s right! Given the complexity of all these changing values and factors, the designers opted for a unique fabrication system that resembles the assembly process of a car. To that end, all the internal components and support elements were first conceived in three-dimensional means. 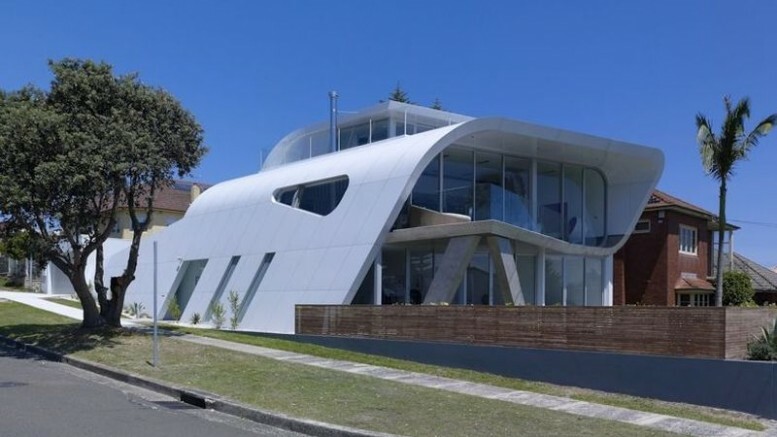 And, in accordance to the pre-design documentation, the building materials were procured and arranged – like the pre-cut metallic panels (for the cladding) being actually manufactured in China on special order, or the framework of the house being made from sturdy steel. 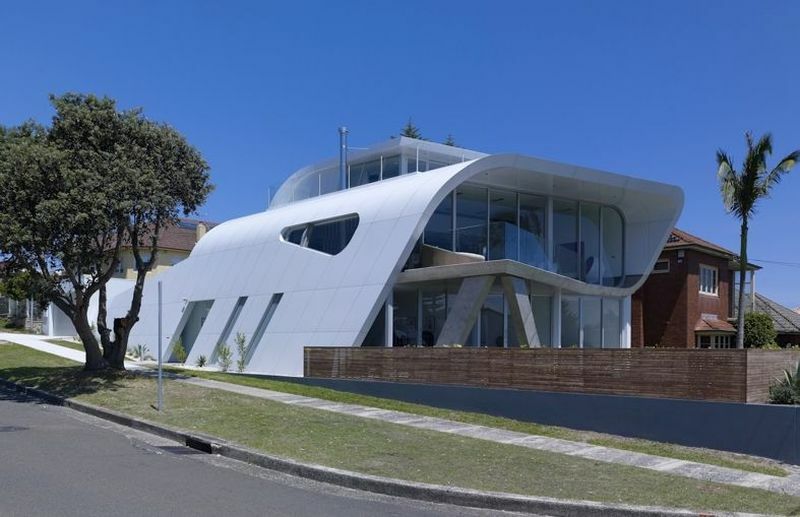 In essence, the construction of the Moebius House went against the traditional procedure that generally entails building the foundation, floors, wall and then roof. Instead, this time around, the architects envisaged a ‘chassis’ and then the main body – much like that of a contemporary automobile.